The Shivom ICO aims to use the power of blockchain technology to protect identity, personalize healthcare & transform lives. Shivom will enable DNA data donors to collaborate with revolutionary changemakers in biotechnology, healthcare industry, and government-ordained research institutes and contribute to an unprecedented era of medical marvels. – Transform genomic data into usable information. – Break down data silos. – Help accelerate clinical trials. – Facilitate drug research and development. – Sponsor sequencing projects to get access to relevant data. Their objective is to make Shivom the largest genomic data-hub on the planet. The ability for contributors to own their genomic data has never been explored on this scale. Having control and the right to access this data, receive rewards if you choose to share it is a unique and brilliant idea. As of right now, there are a few key players who monopolize this space, making millions selling this data to 3rd parties without sharing the profits with its data givers, you! Accelerate the age of genomics — Every one of the 7.6 billion people on earth has a unique code held within their genes that unlocks the secrets to appearance, ancestry, intellectual capabilities, health, and fitness. But, this code’s ability to reveal a predisposition to disease has been overlooked. Improve global health — Now is the time for concerted, community-wide development for the “genomic” challenges of the coming decade. Currently, a few key players hold the monopoly on genomic data and make huge profits from selling it to 3rd parties, usually without sharing the earnings with the data donor. Jumpstart genome-based precision medicine — They are changing the dynamics of the global healthcare market. Shivom is utilizing the most advanced technologies including blockchain, cloud computing, genome sequencing, artificial intelligence, and big data analytics to bring medical genomics into a new era. Ensure the next level of data privacy — Shivom is at the forefront of data security. They use state-of-the-art cryptography to add additional security levels to their platform that go well beyond blockchain technology for decentralization, protecting each user’s data from cybercriminals. *The Information was taken from Shivom’s website. I found the Soft Cap (15,000ETH) & Hard Cap (75,000) on ICOBench. We know that sometimes these figures change or can be incorrect so I decided to contact their admin directly on Telegram to confirm the amounts. Unfortunately, a member of AmaZix (which is a community management company for Crypto projects) refused to confirm or deny if these amounts were correct by continually saying ‘Full details will be out soon.’ I understand that they can’t give any information until official announcements, but it was slightly annoying as I wasn’t asking for any information that they haven’t released yet, just if it was correct or not. So, sadly we can’t really comment on their funding goals just yet. ICO — 990 million OmiX tokens to be sold to the public (33%). Founders — 420 million OmiX tokens allocated to Team (14%). Incentivised Growth Pool — 600 million OmiX (20%) held in smart contracts as incentives/rewards for data generation. Reserves for future research & development. Community — 90 million OmiX (3%) for Bounties etc. *Sadly we couldn’t find anything that mentioned any lock-up period for Advisors & Team members. 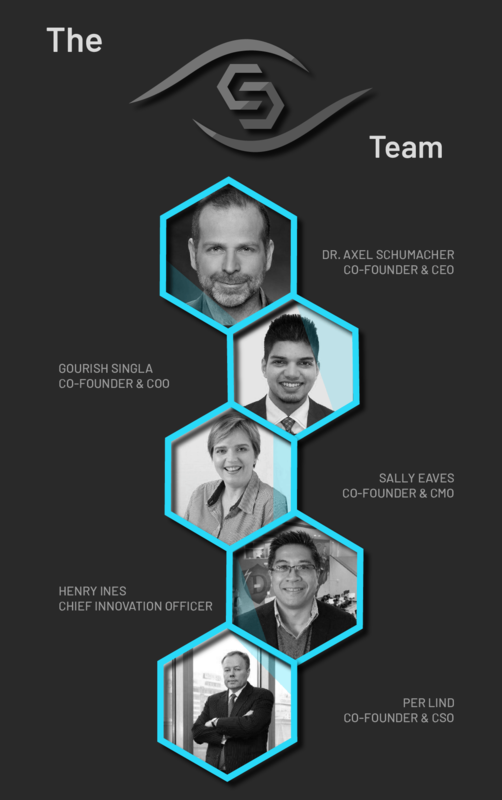 The Shivom team are made up of 15 member, which is lead by Dr. Axel Schumacher. Axel has over 20 years of Research and Development leadership experience in genomics, epigenetics, biomarker discovery, Bio-IT, aging & longevity. He is also the Author of the ‘Blockchain & Healthcare Strategy Guide’, which is a standard compendium for the healthcare industry. Axel translates scientific discoveries into practical applications to help understand, diagnose & treat complex disorders, but also to promote cutting-edge technologies that could transform precision medicine and the way we age. Axel is also a Member of the Blockchain Research Institute in Toronto. He holds a Ph.D. in Human Genetics from the University of Cologne. Gourish Singla is the COO — With a background in investment banking and wealth management, Gourish is an accomplished business leader, angel investor and social entrepreneur with a focus on performance, growth, and innovation. He drove 30m$+ revenue in his last venture into a highly competitive marketplace and has founded three successful companies in the digital health space. Most notably Kusum Chemicals which is the biggest importer and distributor of PVC chemicals in North India. Through Project Shivom, Gourish combines his deep interest in this sector alongside advocacy for blockchain and distributed ledger technology that can make a transformational difference both for business and for wider society. Sally Eaves is Shivom’s CMO — She combines a depth of experience as a Chief Technology Officer, Practising Professor of FinTech and Global Strategic Advisor, consulting on the application of disruptive technologies for both business and societal benefits. She is an award-winning thought leader in innovation, digital transformation and emergent technology, notably blockchain, artificial intelligence, machine learning, and robotics. A member of the Forbes Technology Council, Sally is an accomplished author with regular contributions to leading business, technology, and academic publications. Despite its slightly strange name which must be a marketing nightmare, as you can see there is a massive following for Shivom. 70k members on Telegram is very hard to come by so they definitely have a great deal of support from its community. They are very active on Twitter and are continually giving updates of their progress which is great to see. 10/10 for social media & hype that’s for sure. It’s safe to say that the team a very well rounded and extremely experienced in this marketplace. They clearly have a passion to advance DNA data and the need for its users, you, to benefit from this whilst at the same time helping the greater community to understand how important your genomic data is. If they can capture the market and companies see them as a platform that will benefit their success, Shivom could be a global name in the healthcare sector. One thing to note is that the Beta platform release isn’t until after the ICO and the worldwide rollout of the finished Shivom platform isn’t until Q3-Q4 2018. So these things are worth considering as we have no proof that the platform will be 100% functional for healthcare industries & users needs. Also, without having conclusive information on their token economics it’s hard to say if it’s an investible ICO right now, but I hope to see the complete breakdown very soon, as public-sale is just around the corner. 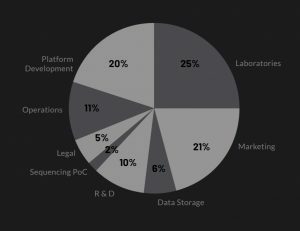 Shivom is definitely an ICO to keep an eye on and has huge potential to create a new ecosystem for DNA data used in the healthcare industry.